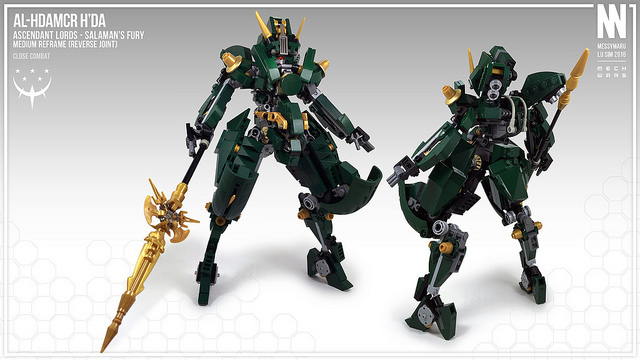 The dark green and golden color combo is just majestic and suits the design perfectly. The reverse knees, a very unusual configuration for a reFrame, a very oriental “dragony” vibe and that amazing spear complete this fantastic build. For more details check out the post on Lu’s blog.